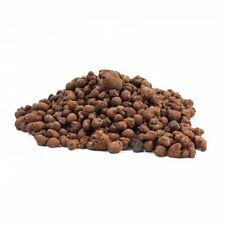 The substrate contains peat moss which has the best water holding, correct PH and low nutrients that carnivorous plants require, the perlite provides good aeration for healthy roots. 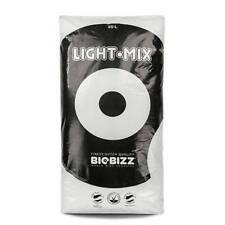 INCLUDES 300ml bag SPHAGNUM MOSS for top dressing or further increasing water holding & humidity. Terralba can not be hold responsible for any violation of existing laws or any misuse of the material in the country of application. Basalte volcanique (100%) - 2kg. NFU 44-001. Roche volcanique. Utilisable toute l’année en AB CEE 2092/91. Birds,animals Eco Friendly Natural Coconut Coco Husk. Coco husk provides longevity to Soil, retains water & nutrients, promotes strong root growth. A photographic evidence will be required within 24 hrs of the receipt of a such item. Terralba can not be hold responsible for any violation of existing laws or any misuse of the material in the country of application. 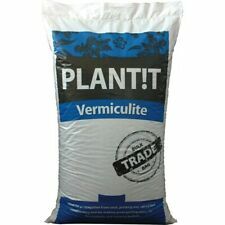 La Vermiculite est un minéral naturel formé par l'hydratation de certains minéraux balsatiques. (Original Xiaomi New Product :). The detection pen features the Xiaomi logo. It is all white, and the head cap is translucent. Users will read the TDS water values on a LCD display located on the middle upper position of the pen. La perlite est un sable siliceux expansé d’origine volcanique qui peut s’ajouter au substrat dans le but defaciliter le drainage et de l’aérer, dans le but d’améliorer l’oxygénation des racines. (dispo en plusieurs formats). Auch zum Einmischen in Substrat zur Strukturverbesserung oder zum Abdecken der Substratoberfläche. BLÄHTON 8-16 MM. Blähton Tongranulat als Kügelchen für Hydrokulturen oder als Zuschlagstoff mit hoher Drainagewirkung für Erde und Substrat. Perlite 2 L(Granulat / Korngröße 0-3 mm, fein). Effiziente Speicherung von Wasser. Terralba can not be hold responsible for any violation of existing laws or any misuse of the material in the country of application. Basalte volcanique (100%) - 1kg. NFU 44-001. Roche volcanique. Utilisable toute l’année en AB CEE 2092/91. Terralba can not be hold responsible for any violation of existing laws or any misuse of the material in the country of application. Basalte volcanique (100%) - 5kg. NFU 44-001. Roche volcanique. Utilisable toute l’année en AB CEE 2092/91. Terralba can not be hold responsible for any violation of existing laws or any misuse of the material in the country of application. Cela se traduit par une croissance harmonieuse mais rapide du végétal. There are no flat surfaces to deflect roots and start the spiraling process. The inward pointing cones direct the root towards the hole in the outward pointing cones where the air density in the soil is too great and therefore the apical cells at the very tip of the root dehydrate, or are air-pruned. 250ml de mélasse noire bio. 500g de guano de vers de farine pour la floraison. 1kg de guano de chauve-souris pour la floraison. 1kg de guano de chauve-souris pour la croissance. en ajout durant les phases de croissance et de floraison . Perlite Horticole. Lors de la phase desemis/bouturage la perlite peut être mélangée à lavermiculite en quantité 50/50. Mykos protects your plants against drought & heat stress. 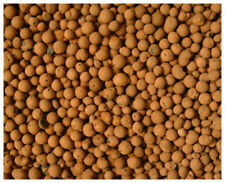 Mykos can also improve the soil structure both in clay soil and sandy soil. Mykos works fast and creates strong roots in 93% of common plants. Cubo rockwool 4x4cm - 50pz - Lana di Roccia. 50 cubi di lana di roccia o rockwool per la coltivazione idroponica, il substrato perfetto per questa tecnica di coltivazione indoor. Manuale di utilizzo dei cubi rockwool: Download manuale. Grodan Stonewool (rockwool) is made from molten rock spun into cotton candy-like fibers and then compressed into cubes, blocks, or slabs. 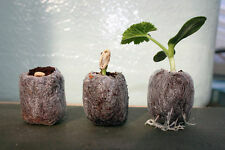 Seedlings started in cubes are easily transferred to blocks and then onto slabs, if desired. Ideale per tutti i tipi di piantesucculente, appartenenti alla famiglia delle CACTACEE CRASSULACEE, ecc. Con giudizio corretto ci aiuterete ad avere successo e ad offrirvi prodotti a condizioni sempre migliori. Milwaukee EC60 - misuratore EC/TDS/°C/°F. Caratteristiche Del Milwaukee EC60. Produttore Milwaukee. il valore di EC (20.00 mS/cm) o il valore di TDS (10.00 ppt) su quello principale. Scala TDS ( 10,00 ppt ). Lamstedt Ton ( Fibo Exclay Deutschland ). 50Liter Profi Blähton 8-16mm Korngröße für Hydrokulturen. für optimales Pflanzenwachstum geeignet sind. RAL Gütezeichen. geprüfte überwachte Qualität für Pflanzenbau ( keine Baustoffware).